Introducing our very own Andy Millward, Aesthetician and Education Manager for Medico Beauty and popular private facialist. 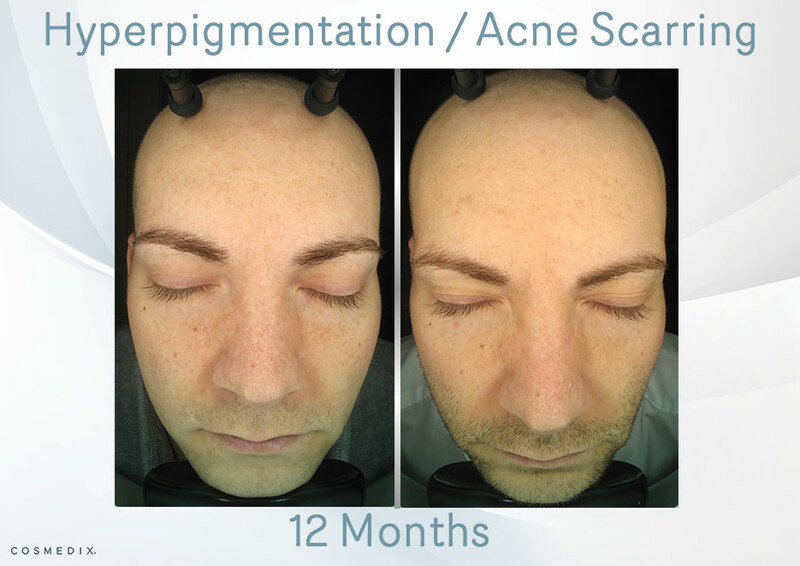 Our Transformation Tuesday will be a little different this time as Andy has completed all the treatments himself based on his expert knowledge and Medico Beauty training. Andy, tell us a bit about your skin and what concerns you had? I’ve always had very oily, acne-prone skin. Throughout the majority of my twenties I had quite severe acne. Predominantly around my temples and across my forehead. At the time I was also starting to show the early signs of premature ageing. Unfortunately I also loved the sun a little too much in my younger years so had a lot of sun damage. Trying to address acne and ageing skin at the same time was a challenge. Particular with over the counter products “anti-ageing” products tend to be rich and unsuitable for acne-prone skins. Whereas acne products tend to be too drying and designed for teenage skin. I managed to clear my acne up with a combination of diet and lifestyle changes, as well as a stripped back skin-care regime using only natural and non-irritating formulations, however I was still left with scarring and discoloration from the acne lesions. What made you choose CosMedix treatments & product to address your skin concerns? I actually use CosMedix in my own treatments. Therefore naturally I’d choose to use them on my own skin and address my skin concerns. The main reason I originally sourced the brand to use professionally was because I wanted something that was results driven and able to address all skin concerns. I also wanted something plant-based and free from synthetic ingredients and common irritants. CosMedix was the only brand that ticked both boxes. There are many results-driven brands available, however their approach can sometimes be a little aggressive and can often compromise skin health. Suffering from a compromised and highly reactive, acne-prone skin already, I needed something that would heal and regenerate the skin without irritating it any further. Had you tried other treatments in the past? If so, what worked / didn’t work for you? I’ve had glycolic acid peels in the past. Initially they made the skin look better but after a short time the skin got dry, irritated and also caused further breakouts. Sometimes it felt like 1 step forward, 2 steps back. I also researched having laser treatments for some of the post-inflammatory hyperpigmentation (PIH) but decided against it because of the high risk of secondary pigmentation occurring. Which CosMedix treatments have you had to date? I initially started with CosMedix Purity Peels because I was still very oily and prone to breakouts. The Purity Peels really helped to get the skin under control and reduce oiliness and how frequent I would get a spot. I then progressed on to having Timeless Peels and a Deep Sea Peel to help address the PIH and acne scarring. As well as help to address signs of ageing, which being in my 30’s is important! Which was your favourite CosMedix treatment and why? My favourite treat is the Contour Peel because it combines 3 treatments in one and helps to address multiple concerns all at the same time. 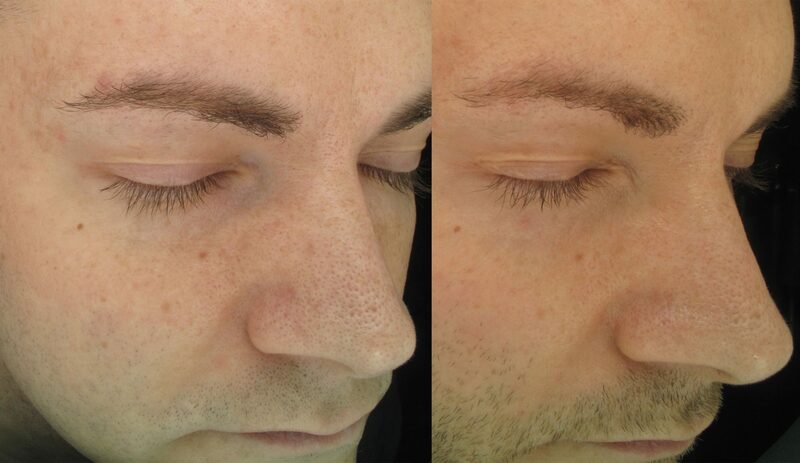 The results are fantastic and can be seen in a relatively short space of time. There is also no downtime involved. Working as a Facialist I can’t afford to have my face peeling off when I’m seeing clients, therefore I need something that works but I can still look presentable during the process. The Contour Peel really helps to improve absorption of topical vitamins applied to the skin and deliver them to the optimal depth for collagen production and increases cell turnover. It also helps to address to pigmentation so has been great for my sun damage, PIH and acne scaring. What’s your favourite product(s) from CosMedix and why? CosMedix Purity Clean was the first product I ever tried and got me hooked on the range. I still continue to use it daily even 3 years later. This is probably my favourite because it is a fantastic treatment cleanser and mask all in one. What’s the best piece of advice your Medico Beauty certified skin expert has given you? Firstly Inflammation is the root cause of all common skin concerns. Secondly that the skin is an organ and it’s important to feed it with the nutrients it needs, both inside and out. Also the skin is always last in the queue with it comes to getting its fair share of vitamins and minerals. For me switching to a dairy-free and low-sugar diet and increasing my intake of green vegetables and healthy fats really helped to reduce internal inflammation and address acne breakouts. Then feeding the skin with Vitamins A, C & E topically with serums plus additional antioxidants and anti-inflammatory ingredients to keep the skin healthy. Apart from topical treatments, have you made any diet / lifestyle changes to help support your skin recovery? Switching to a dairy-free and low GI diet with lots of fresh vegetables, good quality proteins and essential fatty acids. This really has made a massive improvement to not just my skin health, but my overall health. Also ensuring to stay hydrated. I know everyone says its important but it’s something people still take for granted. Free water in the skin is needed for every enzyme to work. Therefore if the body is lacking water, and the skin is dehydrated then out skin cells can’t shed effectively and it can lead to congestion and blocked pores. I love Rejuvenated H3O Hydration supplement, which really helps to ensure we’re actually able to utilise the water we drink properly, rather than just going to the toilet more! How do you feel about your skin now and how does this compare to before you started your treatment programme? Finally, would you recommend CosMedix treatments to a friend and what would you say to someone who is hesitant about having peels? I would say definitely book in for a consultation. Not all peels are created equal. No more than all cleansers or serums are created equal. CosMedix Peels work very differently to other peels on the market. They’re very effective but also very kind on the skin. There is little to no downtime involved and they really do work to address skin concerns. Find your Pro Partner Medico Certified Salon near you, using our handy online store locator here.